I was catching up with a creative director friend of mine yesterday in her favorite French bistro, when she paused to reflect on the last few years and said “I never would have imagined you’d be doing what you’re doing now when I met you four years ago.” She knew me as a technology analyst for Info-Tech Research Group, covering mobile/web design, development, and outsourcing. We were discussing a significant change in my career that I want to share with you, since it may also provide an opportunity for some mutual benefit. Marketing budgets have been steadily drifting towards digital approaches and now also towards mobile. It is sometimes difficult for agencies, whether digital boutiques or full-service shops, to get the technical talent they need, when they need it, at the price that keeps their pitches competitive. Some agencies responded to this challenge by outsourcing digital and mobile development. In some cases it’s been very successful. In other cases it’s been problematic, with problems often related to communication difficulties or cultural misunderstandings. In the same time period I covered app/web development outsourcing to offshore locations like Latin America, India, and the Philippines. During field research in the Philippines I was surprised by the high caliber of technical talent, strong English communication skills, and cultural affinity with the West. It occurred to me that these resources could be used to provide agencies and media teams the talent they are looking for. So after consultation with ad industry leaders, and drawing on extensive research and my hands-on experience in software development, I launched Code Crew. Code Crew is a mobile and digital development shop offering a white label service to ad agencies, media teams, and creative boutiques. 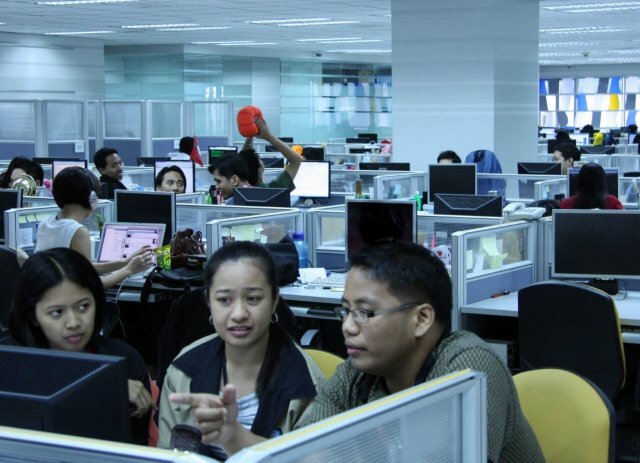 Our development center is in Manila and we use local production analysts to help define requirements and manage projects. Services include the production of mobile and digital marketing materials such as branded mobile apps, mobile and conventional web sites, HTML5 ads, kiosk apps, PixelSense apps, etc. We already have a substantial portfolio and a solid team with deep experience (see Code Crew). Moving from Canada to Manila to launch Code Crew was certainly not something I’d imagined doing back then. But it’s been a fascinating experience and I’d love to talk to you about it, and the benefits it could bring to your agency or media team, either online or face-to-face during our roadshow. We’ve organized a roadshow to meet clients, colleagues, and prospective clients. It’s a chance for me to learn about new ways people are using mobile and digital marketing technology, share the market intelligence I’ve collected, and find opportunities that are mutually rewarding for Code Crew and our agency partners. If that sounds like something you’d like to do, please contact my Communications Director, Anton Estrada with a few times and dates that are convenient for you in the time frames above and he’ll organize a meeting.